34a High Street has been a dry cleaners since 1985 and has been under the ownership of Sav Cafer since 2000. 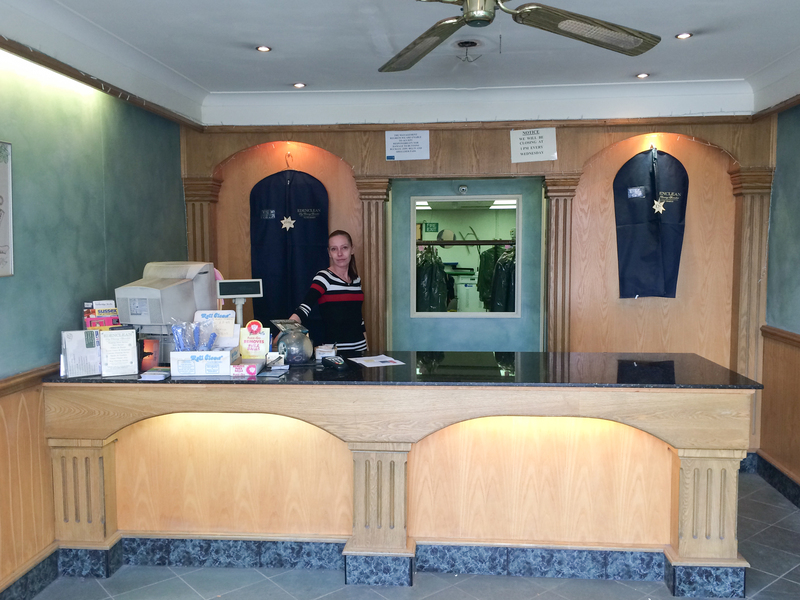 While the dry cleaning industry itself has not changed much over the years, the clothing industry has with the introduction of machine washable suits and now for many, workwear has become a more casual affair than it was in the 80’s. This of course has had an impact not just on EdenClean but dry cleaners up and down the country. Even the town itself has had an impact on the trade at EdenClean since the closure of the large offices that used to feature in our town. But EdenClean pushes on, providing an essential service to those that still have ‘Dry Clean Only’ labels in their wardrobes. 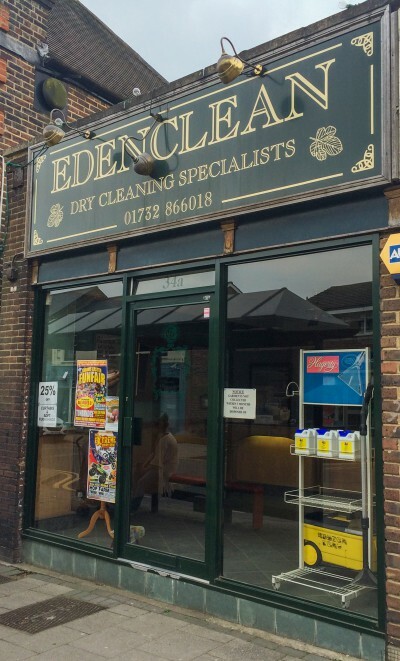 It’s not all about the cleaning services when you use EdenClean but the friendly customer service as well. Lisa has been working there for 15 years and is certainly a familiar face about town and Oz joined the team a year ago, working on a part-time basis.